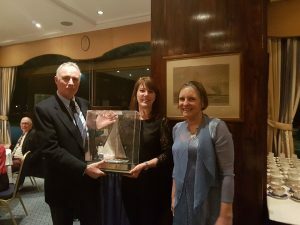 The Annual General Meeting of the British Dragon Association will be held on Friday 11th January 2019 at 18.30 at the Royal Thames Yacht Club, London. 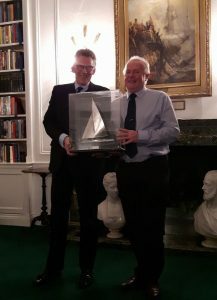 The AGM will be followed by the Annual Dinner at 20.00 at the Royal Thames YC. Please do come and support your Officers and the Association by arranging your dinner table and booking your tickets now. The evening will get underway with pre-meeting drinks at 18.00. The AGM will start at 18.30 prompt and dinner will be called at 20.00. There will be a cash bar for all drinks before, during and after dinner. After dinner we shall present the Citron Trophy and there will then be time for relaxed drinks before carriages at 23.00. Dress code is reefer jacket or lounge suit. To reserve your tickets for the BDA 2018 AGM and Annual Dinner or for further information please e-mail the Honorary Secretary at Britishdragonsec@gmail.com with confirmation of the number of tickets you require, the names of your guests, any special dietary requirements and confirmation of the date your bank transfer was made or your cheque was posted. Please reference your payment with your surname followed by Dinner. Cheques, made payable to the British Dragon Association, will also be accepted. Cheques should be posted to the Honorary Treasurer, Bruce Boyd. Please reference your payment with your name followed by Dinner. The BDA Committee look forward to seeing you all. We are delighted that the date and venue for the 90th Anniversary Regatta has been confirmed for Italy. This regatta is of course special as we celebrate the Dragon’s 90th birthday. But it is as much about the future as the past and younger sailors are especially encouraged. This regatta will bring together a large number of members of the Dragon family, of every age and in every sort of Dragon from the oldest wooden classics, to the latest builds, and everything in between.